8.G.9 - Volume and 3D Shapes - Solve real-world and mathematical problems involving volume of cylinders, cones and spheres. Know the formulas for the volumes of cones, cylinders and spheres and use them to solve real-world and mathematical problems. 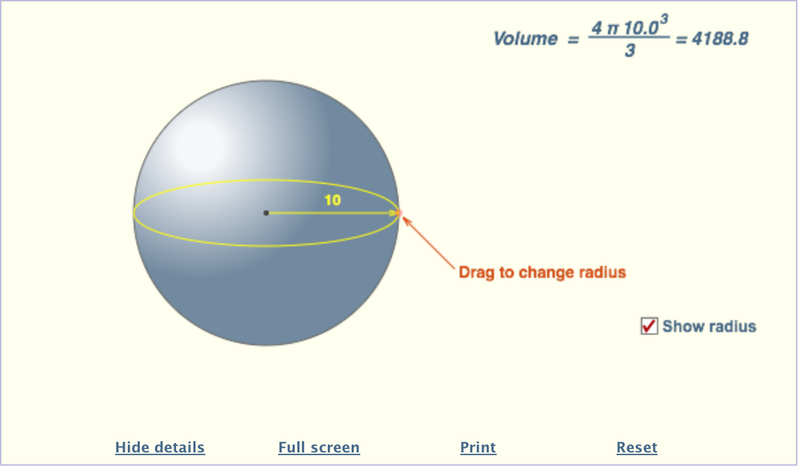 As you see in the video to the right, to find the volume you need to know the radius and the height. Finding the volume is very similar to finding the area of a circle - you just multiply the area of a circle by the height. First, find the area of the circle (π r^2). Then multiply it by the height. Finally, include your units in your answer. 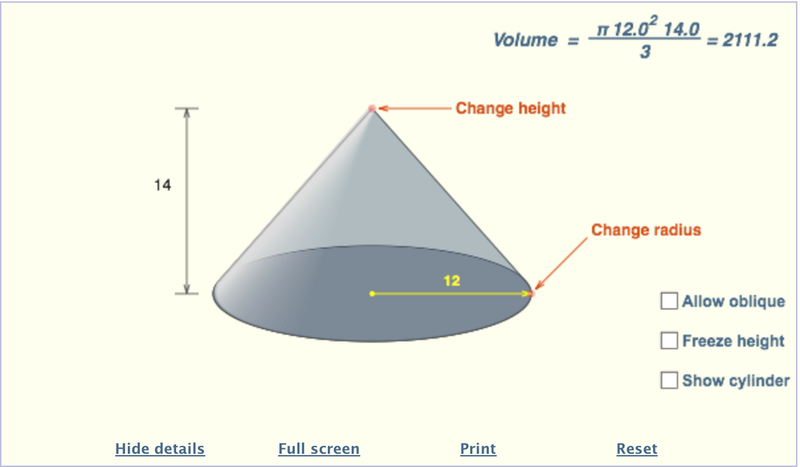 - Think "No point at the top, no divide"
When finding the volume of a cone, you should be able to see this relates to a cylinder. 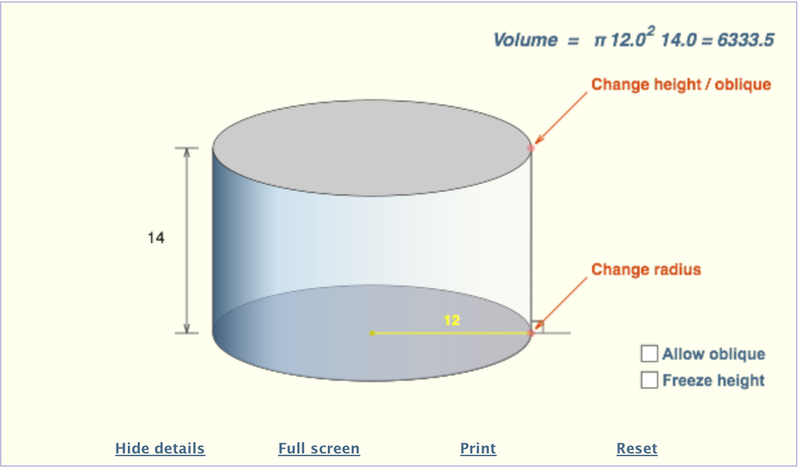 Once you have the volume of a cylinder, you just divide by 3 to get the volume of the cone. First, find the area of the base (π r^2). Then multiply by the height. Finally, divide by 3 to get the volume of the cone. Remember your units! - Think "Points at the top, so I have to divide by 3." For a sphere, the formula makes you take r and cube it, not square it. This is a big change compared to the two that you see above, the cylinder and the cone. First, find the radius and cube it. Then multiply by 4 and then by pi. Finally, just divide it by 3. For each of the shapes in this standard, you can click on the image below and you will be taken to a website where you can see how the volume is computed. By simply sliding different points on the shapes, you can change the height or radius, and it will show you the volume of the shape.